Home Christmas Christmas in July is Here! 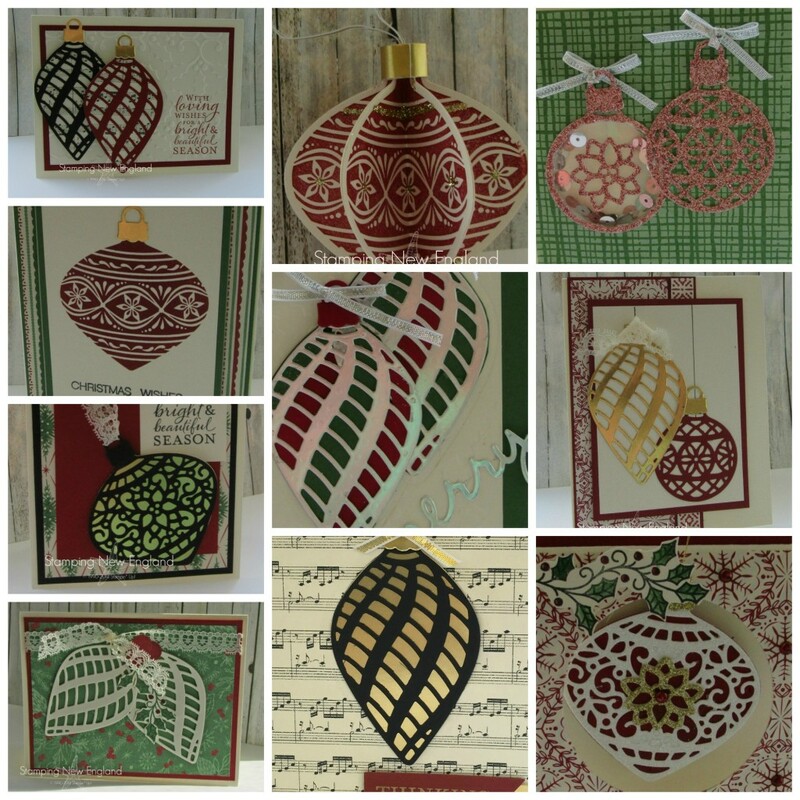 It is time for the Stamping New England Design Team’s Christmas in July projects again! This year the Stamping New England Design Team is using the This Christmas designer series paper with the Stampin’ Up! Embellished Ornaments stamp set and Delicate Ornaments thinlits. I love the cards that we have designed for this month! Lots of great new and unique techniques for the beautiful Embellished Ornaments stamp set. This tutorial includes 12 card designs and one ornament design for using the Embellished Ornaments stamp set and Delicate Ornaments thinlits with the This Christmas Designer Series Paper. 1. Make a purchase of the Embellished Ornaments stamp set (139759), the Delicate Ornament Thinlits (139667) and This Christmas Designer Series paper (141628) from my online store HERE. Send me a message and I will send your the link for the card patterns for FREE! 2. Purchase my Christmas in July Tutorial for $11.95. This includes lifetime access to a FREE video showing you how to make a card with a Shaker Ornament! Ready to place an order? If your order is under $150 then use the Hostess code FAXV2DPB and receive a sampler of the new in color ribbons from me. Of course if your order is over $150 collect the hostess benefits for yourself! I love to share the hostess benefits with my customers!